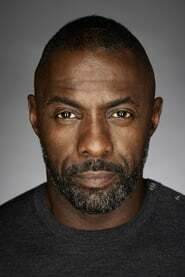 Idrissa Akuna "Idris" Elba (born 6 September 1972) is a British television, theatre, and film actor who has starred in both British and American productions. Elba grew up in Canning Town, East London. One of his first acting roles was in the soap opera Family Affairs. He has worked in a variety of TV roles including Ultraviolet and The Inspector Lynley Mysteries. He is also known for playing Russell "Stringer" Bell, a Baltimore druglord and aspiring businessman, in HBO's The Wire. Elba is also a DJ under the moniker DJ Big Driis / Big Driis the Londoner, and a hip-hop soul recording artist. In 2009, Elba appeared on a six-episode arc of the American sitcom The Office, playing Charles Miner, Michael Scott's new boss. In 2010, he appeared in the action film The Losers in the role of Roque, the second-in-command of a black-ops team. The same year, he appeared in the thriller Takers. Elba played the title role of Detective John Luther in the 6-part BBC television show Luther that aired from May 4, 2010 on BBC One. Description above from the Wikipedia article Idris Elba, licensed under CC-BY-SA, full list of contributors on Wikipedia. as "Ben Turner / Bronze Tiger"